May 1966 | My first graduation photo - finished Headstart (aka Kindergarten) at Hill's Chapel School in Booneville, MS.
06.21.79 | Joined the US Army to fund my way to college. Basic Training done at Ft. McClelland, AL. 01.11.93 | Founded my first venture-backed company, Theraphysics. We were a speciality care management business focused on orthopaedics and rehabilitation. 07.09.01 | Became President of Paradigm Health, a care management firm focused on catastrophic injury and disease support for the sickest 1%. June 2002 | Healthcare Trade Mission to Brussels Belgium with the Nashville Healthcare Council. This photo was from inside the European Union. Members of my Management Team from Theraphysics | Ruth Gentry, Rhonda Parry, Edwina Temple, Rhonda Allen, Kevin Kirkpatrick, Jay Moore, Ben Dyar. Many other wonderful people too! July 2002 | In London meeting with investors for ParadigmHealth. Took the afternoon off to see the changing of the guard at Buckingham Palace. July 2002 | For Ryan's 13th Birthday, he and I went to Maui, HI. A week of biking down the mountain, parasailing, surfing, deep sea fishing, luauing, and helicopter rides. 12.2002 | Had the opportunity to return to Belmont University to accept my 4th and final recognition there as the MBA Students' "Most Inspirational Faculty." A bittersweet moment. December, 2002 | Wonderful holiday with my two children: Ryan and Lauren. Loved this time of their lives. They are the delight of my life and constantly amaze me. Finished my Doctoral Degree in Health Administration at the Medical University of South Carolina. Had the opportunity to have my parents and my children with me. July 2005 | Visited my partner from Theraphysics and ParadigmHealth - John Penrose - and his wife Gretchen. What an incredible man, an amazing friend, and a great business mind. May 2006 | In Zurich Switzerland for meetings with our investor partners from Zurich North America and our banking partners at UBS. 12.11.06 | Invited to speak at WellPoint's Partner Conference. The Benefit of Strategic Partnerships Between Health Plans & Innovative Private Firms. 05.14.07 | Joined the faculty of the Owen Graduate School of Business at Vanderbilt University. It was always my lifelong dream to teach here. December 2007 | With Rob DiGia, Global Head of Healthcare Investment Banking at UBS. Rob helped us with the process of selling both Theraphysics and ParadigmHealth. March, 2008 | After selling ParadigmHealth to Inverness (now known as Alere), we held our "Closing Dinner" at Thomas Keller's Per Se in New York. It was just incredible. 03.02.09 | Began working with BCBS of Tennessee to transform a health and wellness company they had purchased into the brand Onlife Health. March 2010 | Healthcare Trade Mission to Scotland with Jack Bovender. Studying healthcare services and population health issues - seeking opportunities for collaboration. May 2010 | Attended the Richard Petty Driving School in Orlando. Couldn't help myself. Had to feel the rush of driving at top speed around the track. May 2010 | In Paris with two dear friends - David Furse and Kimberly Pace. Spent the week soaking up the incredible art and history of the city. June 2010 | My final year of running Accelerator at Vanderbilt. It's been 5 great years! Now time for the next chapter of life at the Nashville Entrepreneur Center. 07.19.10 | Keynote for Nashville Rotary: The vision to Make Nashville a Top 5 Destination for Entrepreneurs & Innovators. August 2010 | We signed the lease to move the newly formed Nashville Entrepreneur Center into 105 Broadway, Suite 200 in Nashville. This was where the dream would take shape. August 2010 | Our first visit inside the building that would become the Nashville Entrepreneur Center. Standing in an abandoned city maintenance garage, we dared to dream big. October 2010 | Had the opportunity to tour Matt Kisber, Tennessee's Commissioner of Economic Development through the EC. He joined our Board of Directors later that year. 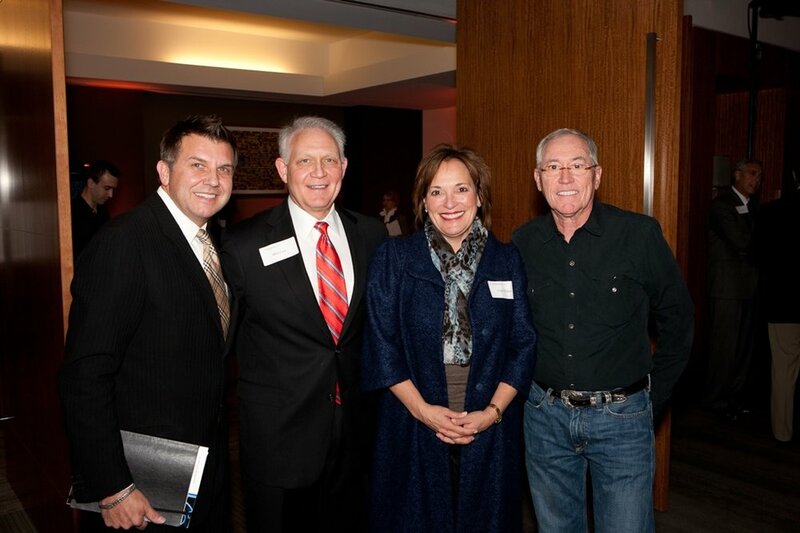 November 2010 | With our Board Chair, Mr. Clayton McWhorter, at the launch of the EC Capital Campaign at Bass Berry. We successfully raised $6mm to fully fund our new building. November 2010 | Governor Bredesen and ECD Commissioner Matt Kisber tour the EC and visit our startups. They bring a Proclamation by the Governor for Global Entrepreneur's Week. June 2011 | Hosted Representative Marsha Blackburn at the Nashville Entrepreneur Center, providing her the opportunity to see young companies being created here in Nashville! Speaking for Governor Haslam at the TN Annual Conference on Economic Development. 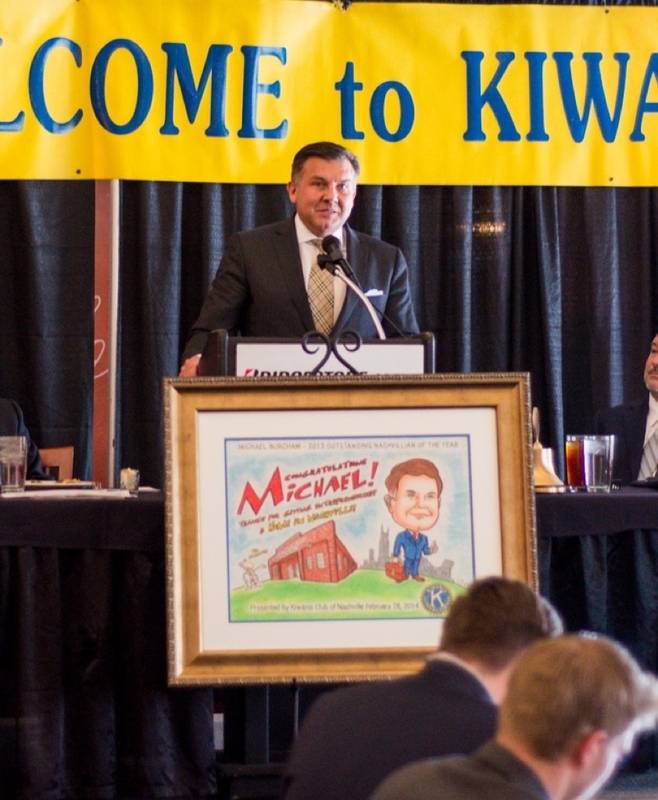 I shared insights into the work we were doing across the state in supporting entrepreneurship. 12.26.11 | Had the opportunity to meet Santa Claus. He had just finished his annual trip around the world delivering gifts. We were both in Cozumel for a week of rest. 02.03.12 | Speaking on the key ingredients required to develop an entrepreneurial ecosystem within a community. February 2012 | Speaking at the Eisenhower Executive Office Building to the Small Business Administration about building entrepreneurial support within rural communities. 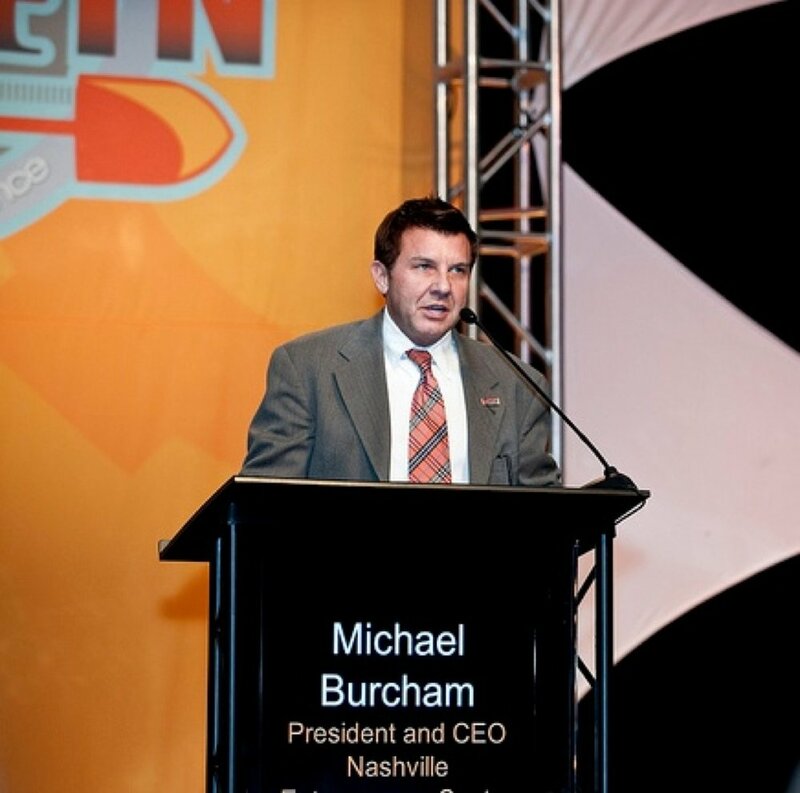 March 2012 | Was named a "Champion of Change" by President Obama for our work in developing and delivering mentoring to over 1,000 young companies here in Middle Tennessee. June, 2012 | Teaching a business models class at the Nashville Entrepreneur Center on Lower Broadway. This was our final Jumpstart Foundry Cohort to be held at that location. June 2012 | Was honored to participate in the Clinton Global Initiative (CGI) and to share the story of the work we have done in Nashville to build our Entrepreneurial Ecosystem. October 2012 | At the Startup America Summit meeting held at 1871 in Chicago, IL with Steve and Jean Case, Scott Case, Donna Harris, Kathleen Warner and the regional leaders. My first official "tour" of the Dallas Cowboy's Stadium. What an impressive facility. It is the world's largest domed structure. June 2013 | We opened the permanent home of the Nashville Entrepreneur Center at 41 Peabody in Nashville. 3 years from our launch date, we had turned our dream into a reality! 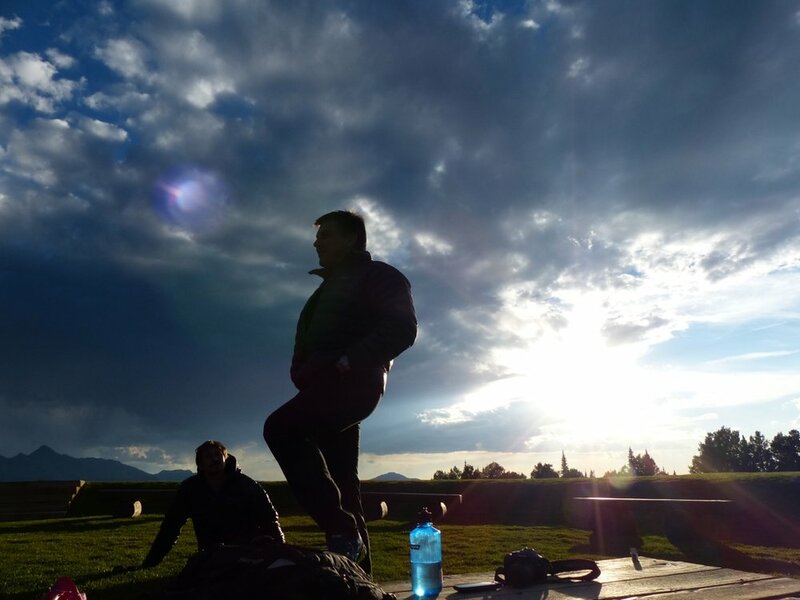 July 2013 | Visited Telluride with my friend David Levy. With his encouragement and guidance, we made the climb to the top of the peak. It was both exhilarating and exhausting. 08.23.13 | Keynote speaker for Harbin Clinic's annual strategy meeting. Building a Strategy within Obama Care: The Right Direction for Growth. September 2013 | Led a workshop for 6 CEOs who are building their companies. I've had the opportunity to work with most of these individuals > 5 years. September 2013 | Google for Entrepreneurs names Nashville one of 7 "Tech Hubs" across the US. 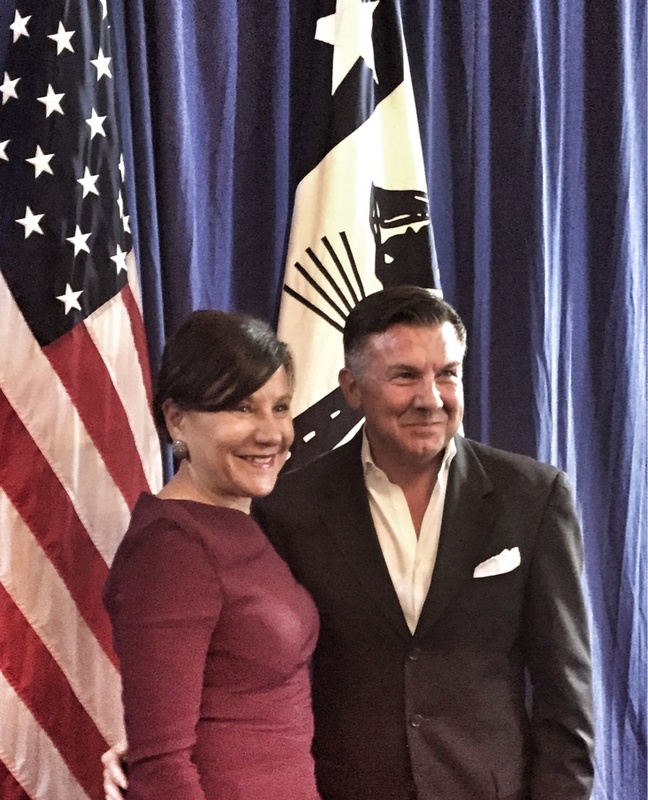 What an honor for our city to be recognized for our entrepreneurial work! September 2013 | Hosting Mary Grove, leader of Google for Entrepreneurs at the Nashville Entrepreneur Center. Proud to be a Google Partner for Entrepreneurs! 10.01.13 | Delegation of business leaders from Sarasota, FL. Steps in Building an Entrepreneurial Ecosystem. 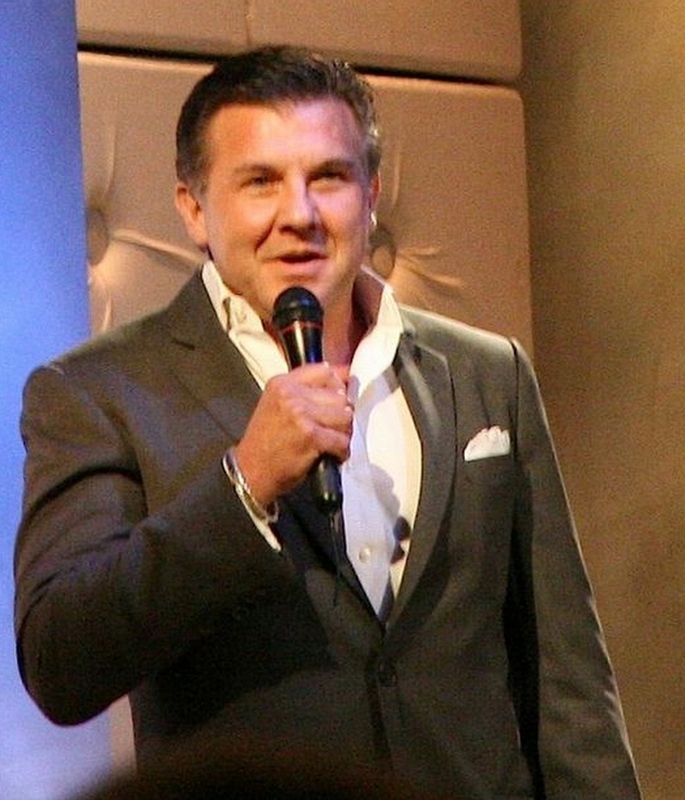 October 2013 | In Saudi Arabia speaking at KFUPM's Entrepreneurship Forum on building Entrepreneurial Ecosystems. I also led a mentoring workshop for faculty and local startups. 12.13.14 | Keynote Address at HCA Foundation Annual Meeting. The Entrepreneurial Mindset and the Skills to Succeed. 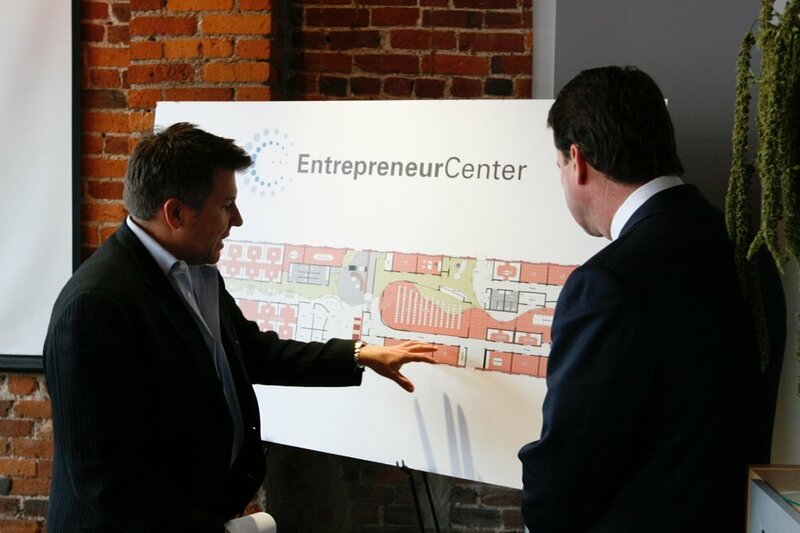 January 2014 | 4th Anniversary of the official launch of the Nashville Entrepreneur Center. 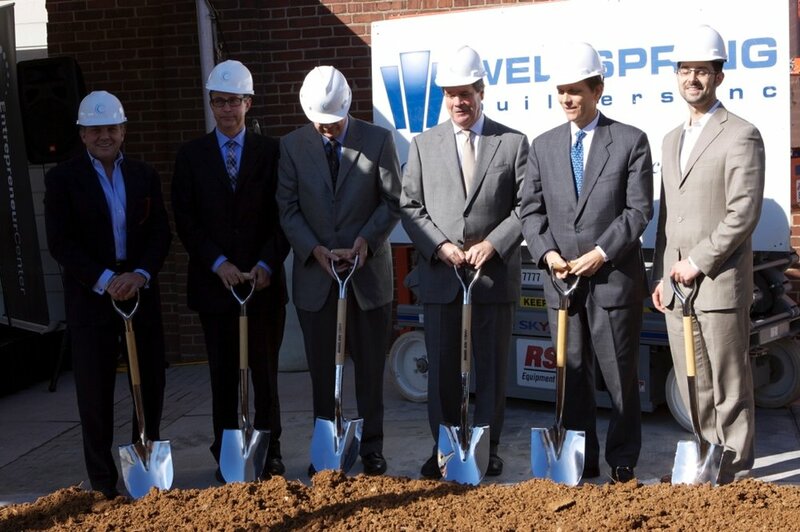 We are building Nashville's economy. 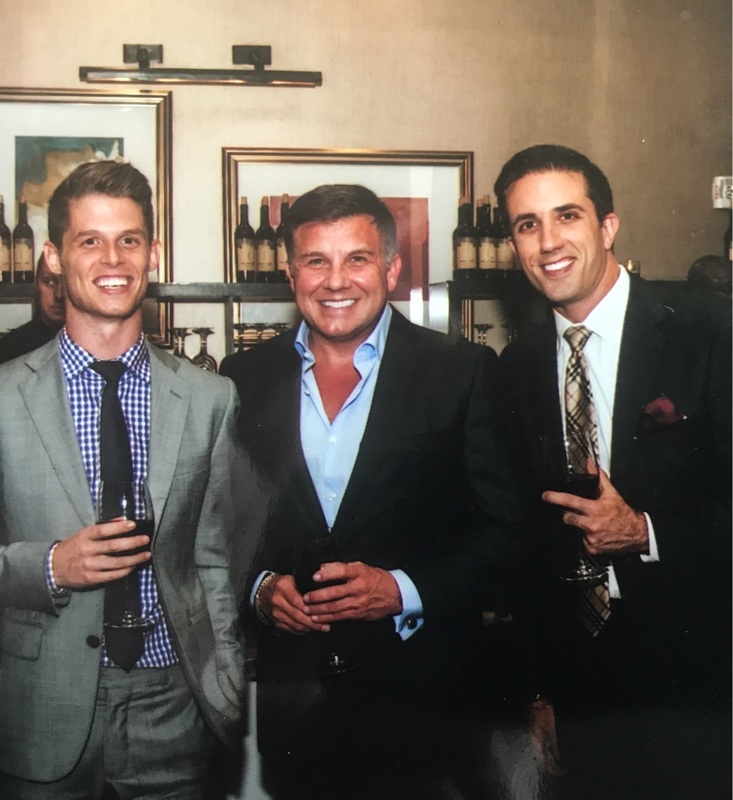 May 2014 | Had the opportunity to visit with Mark Cuban during his visit to Nashville for the Inc. Magazine GrowCo Conference. We had over 1,000 people participate in the event! 06.05.14 | Keynote speaker for Schneider Electric's innovation conference. Cultivating an Entrepreneurial Mindset in a Corporate Environment. 06.21.14 | Keynote speaker. Entrepreneurship & Economic Development for Emerging Markets. Aljeel Conference in London, England. 06.27.14 | Hosted Steve Case in Nashville for his "Rise of the Rest" Tour - A celebration of cities building entrepreneurial economies. 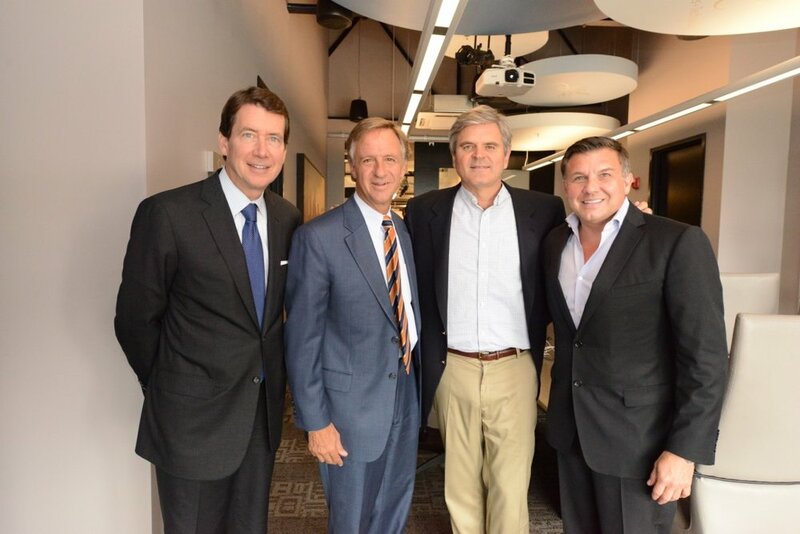 06.28.14 | With Steve Case, TN Governor Bill Haslam and Commissioner of Economic Development Bill Hagerty. 09.17.14 | Keynote speaker for HIMSS Summit of the Southeast. Thirving in the New Healthcare Environment: Positioning Your Organization for Successs. 10.15.14 | Keynote speaker for FedEx Ground Meeting for Key Logistics & Transportation Partners. Building a Business: You're Not a Startup Anymore. 12.28.14 | I was honored by being named Tennessean of the Year for 2014. An incredibly humbling recognition. 01.12.15 | Sharing the Vision for Narus Health with potential investors at the JPMorgan Healthcare Investor Conference. 01.28.15 | Keynote speaker for Merrill Lynch's "The Year Ahead" Advisor Summit. The Entrepreneurial Spirit in the Workplace. 02.19.15 | Had the opportunity to hear 2 former Presidents - Bill Clinton & George Bush as a guest of UBS. Was an incredible evening. 02.24.15 | Was the Keynote speaker for the Mega-Conference in Atlanta. Creating the Next New Thing: Building Innovation within your Organization. 03.04.15 | Keynote speaker for Emdeon's Customer and Partner Conference. Disruption: Healthcare's New Business Model. 03.30.15 | Keynote speaker for PNC Bank's Strategy Conference. Using Your Creativity, Relationships & Skills to Build New Products & Services. 04.03.15 | Had the opportunity to speak at Select USA. Also heard President Obama over lunch. Creating an Environment for Innovation. 05.02.15 | Was in the stands at the 2015 Kentucky Derby when American Pharoah crossed the finished line in his first win of the Triple Crown! 05.15.15 | Keynote Speaker for Dentsply Client Conference. The Future of Healthcare: And It's Impact on the Dental Business. 05.21.15 | Keynote speaker for Vanderbilt University Medical Center's Annual Meeting. Transformational Leadership: Leading In Times of Disruption & Change. 06.22.15 | Keynote speaker for Pioneer News Group's Annual Strategy Meeting. Harnessing & Advancing Cultural Innovation. 07.17.15 | Keynote speaker for Encompass Group's Annual Meeting. New Business Models in Health Care - And How To Position Ourselves for the Market. Workshop | Thinking Like a CEO. Led 50 business leaders in an intense 1 Day seminar on thinking and leading like a CEO. 08.11.15 | Keynote speaker for PPAI's Annual Meeting. Disruptive Innovation: Continuing to Do Well in a Changing Supply Chain. 08.20.15 | Launched Narus Health at the Health:Further Conference. Our Strategic Aim: To deliver execptional care support to individuals facing life-limiting conditions. 09.17.15 | Keynote speaker for Entrepreneur Organization's Nerve Conference. Lessons Learned in Launching & Scaling New Businesses. 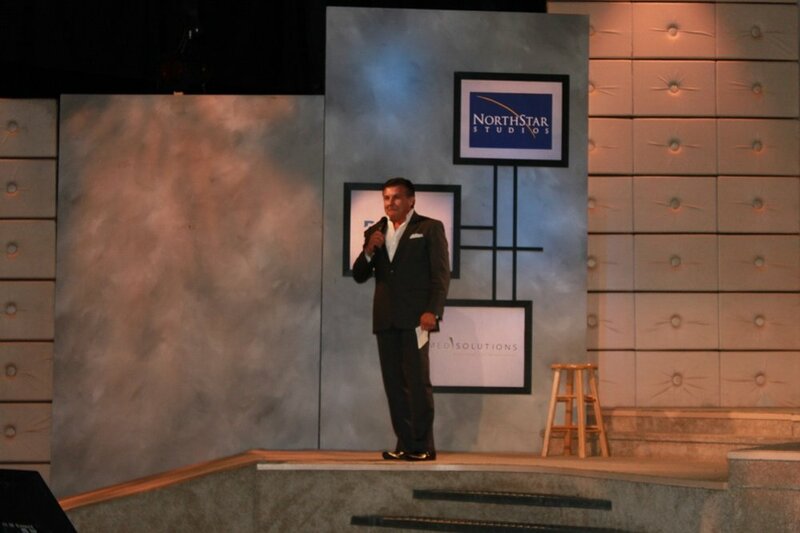 10.19.15 | Keynote speaker for Asset Plus Company's Annual Meeting. Building a Powerful Leadership Team: Focus on Your Strengths. 02.20.2016 Hal & I were honored and delighted to be married by Mayor Megan Barry. 04.29.16 | Keynote speaker for Arizona Blue Cross Blue Shield's management team on the Power of Disruptive Innovation. 05.18.16 | Judge for EY's Entrepreneur of the Year - Southeast Region. Awesome Experience! 06.14.16 | Panelist for Nashville Healthcare Council's June Forum: Shaping the New Continuum of Care. 06.15.16 | Published discussion of Innovations in the Continuum of Care and Care Management in Healthcare.